Students from Jo Lauria’s Made in L.A. class at Otis College of Art and Design visited the Center today. While here, they viewed our current exhibition The Circuitry of Joyce J. Scott: A Group Exhibition of Collaboration and Innovation, watched Joyce J. Scott’s segment from the episode MESSAGES. 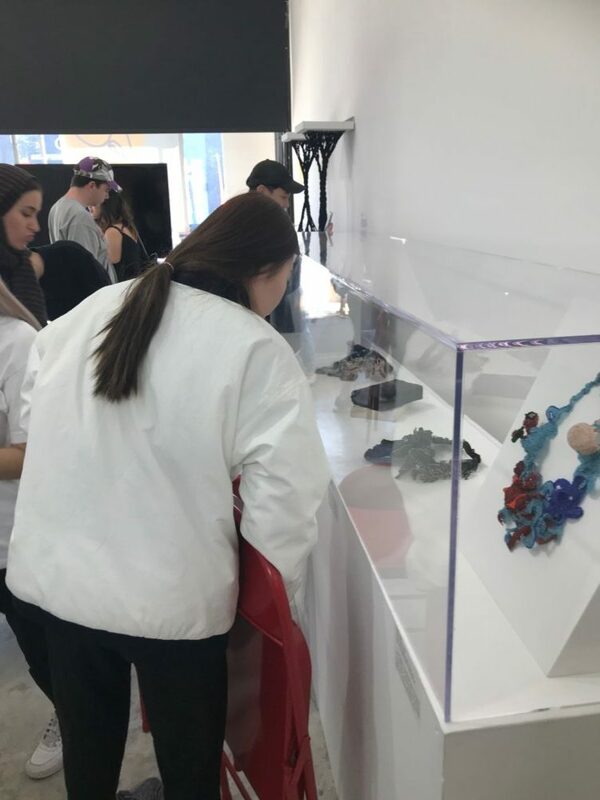 Being a class comprised of sophomores, every discipline and major at Otis is represented in the class: Toy Design, Architecture / Landscape / Interiors, Communication Arts, Fashion Design, Fine Arts, and Product Design. Having such a diverse group of majors opened the conversation regarding the work shown in Circuitry. Each student related to the artwork differently and were drawn to various processes involved with a multitude of pieces. 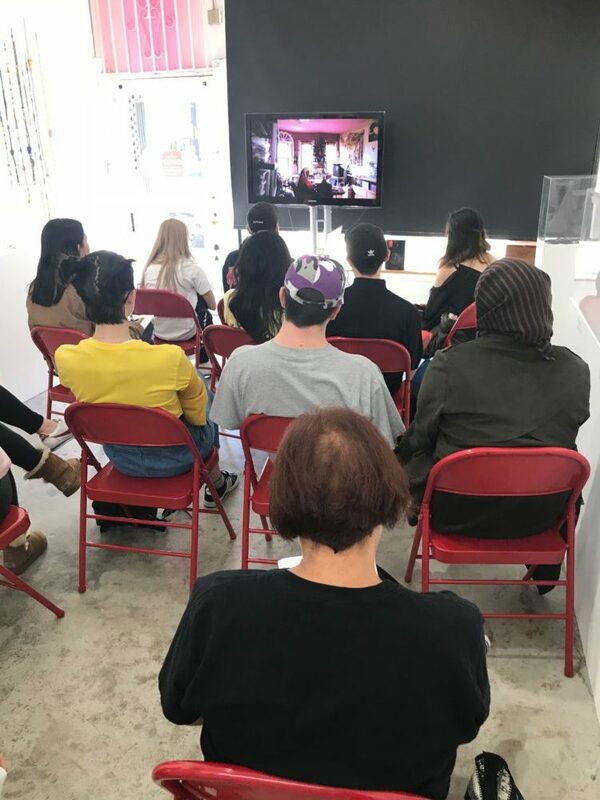 The students were also tasked with watching an episode from the Craft in America documentary series before coming to the Center. It seemed that the product designers were drawn to the INDUSTRY episode, while the architecture students chose to watch NATURE.